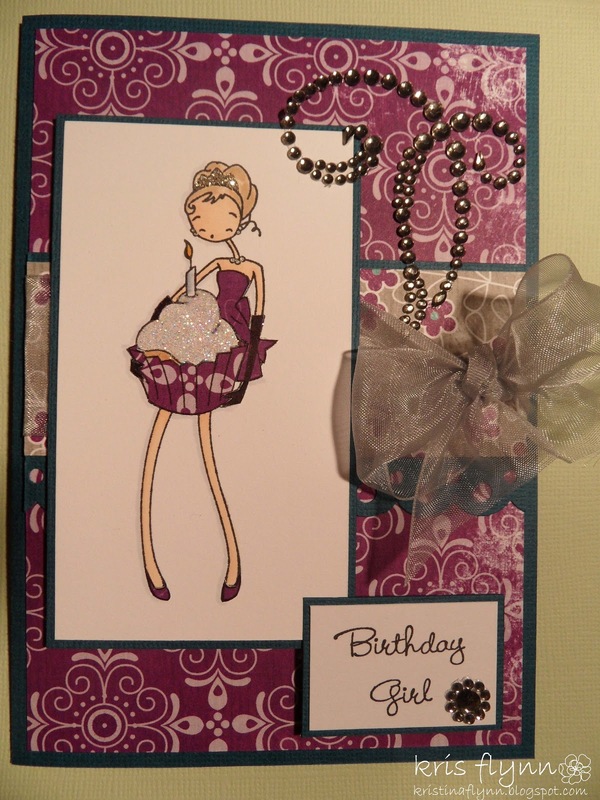 For this card I used a fantastic A La Mode stamp "Birthday Girl" from My Favourite Things Stamps. I used paper from the Bo Bunny "Peacock Lane" Collection. I paper pieced her dress and the paper cupcake patty and used glossy accents and glitter on the cake's icing.